Sean G. says his 80-hour Zelda: Breath of the Wild save file no longer exists, along with the other contents of his Nintendo Switch, after the system’s recent 5.0 firmware update met his Nyko portable docking kit. Sean had been using the popular third-party hardware for months before the update, which went live on March 12. The Nyko kit is a handy, cheaper alternative to Nintendo’s official $90 dock. Unlike that official dock, it lets Switch owners look at their consoles’ screens while it charges and packs up really small. 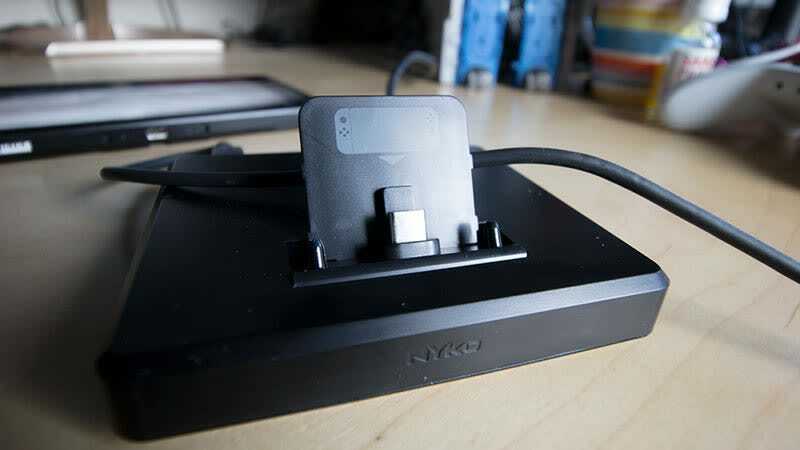 In October, when the Nyko dock first came out, Kotaku’s Mike Fahey reported that, while it also contains everything needed to connect a Switch to a television, “several visitors to the Switch Reddit have warned that the dock has busted the USB-C port on their consoles, rendering them unable to charge.” (In an AMA, a Nyko rep responded that they were only aware of one instance of this). Now, Nyko Switch dock users are reporting another problem: bricked Switches. Sean says he’s been using the dock since last October, but it wasn’t until he updated his Switch to the 5.0 firmware that the console started bugging out. After receiving several error messages, Sean says his Switch stopped turning on at all. On Reddit and Nintendo forums, some third-party Switch dock owners are warning each other of bricked Switches after the recent update. It’s not just Nyko. Some report problems with the FastSnail docking kit. Others report having no problems with the Insignia dock. Over e-mail, Sean told Kotaku that he spoke with a Nintendo representative. “Apparently, Nintendo is aware of this issue,” he said of the call, “and it is related to their updated 5.0 this weekend being pushed to devices and the use of Nyko Portable Docking kit. Nintendo has received multiple calls about the devices being completely bricked and is offering to repair the device if it is under warranty which thankfully mine was,” adding that a Nintendo representative told him that recovering his data would be unlikely. Nintendo did not respond to a request for comment by press time, but last night, rolled out another firmware update that offers “General system stability improvements to enhance the user’s experience.” Nyko says it is taking a look at the update to see what exactly it does.